In October 2014, The Shanta Foundation held a Gala Dinner, raising £412, 441 for the Mitra Rehabilitation School, which is run by the Anoopam Mission; a non-profit, charitable organization based in Gujarat, India. The Mitra School’s mission is to provide exceptional services and training to the children with special needs to become self-sustaining individuals and lead their life with dignity and self-respect to become productive members of the society. The monies raised facilitated the construction of Phase 1 of a new campus of buildings, capable of seeing the school through its next phases of growth and development. 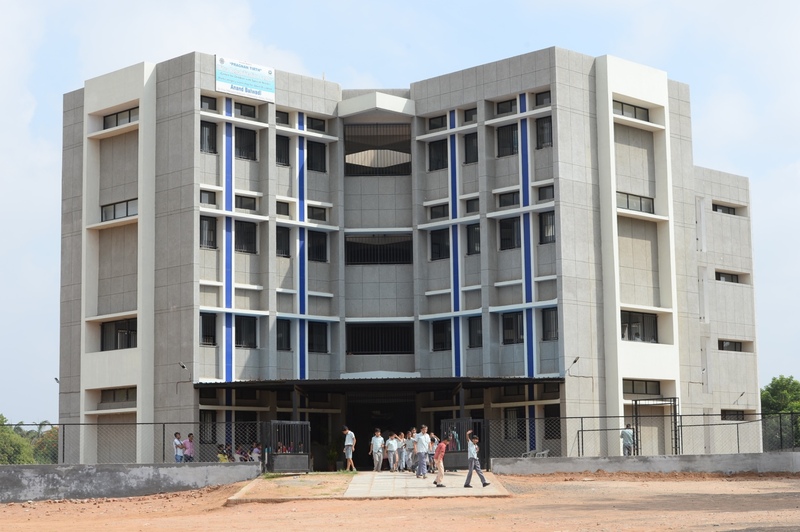 Completed ahead of schedule, the new building currently houses a student population of 150 with various disabilities ranging from 5-18 years of age. There are a total of 23 teaching staff of whom 13 are trained Special Education teachers and 4 Vocational Training teachers. Specialist consultants also attend the school to cater for the needs of the children. As the works were completed ahead of time and budget, further discussions were had with the Anoopam Mission, and the remaining funds have now been earmarked as Corpus Funds in a separate interest earning account, which will support the ongoing running expenses of the school.